New colour from Ranger! The Turquoise Adirondack Alcohol Ink 15ml bottle comes a co-ordinating range from Tim Holtz at Ranger. 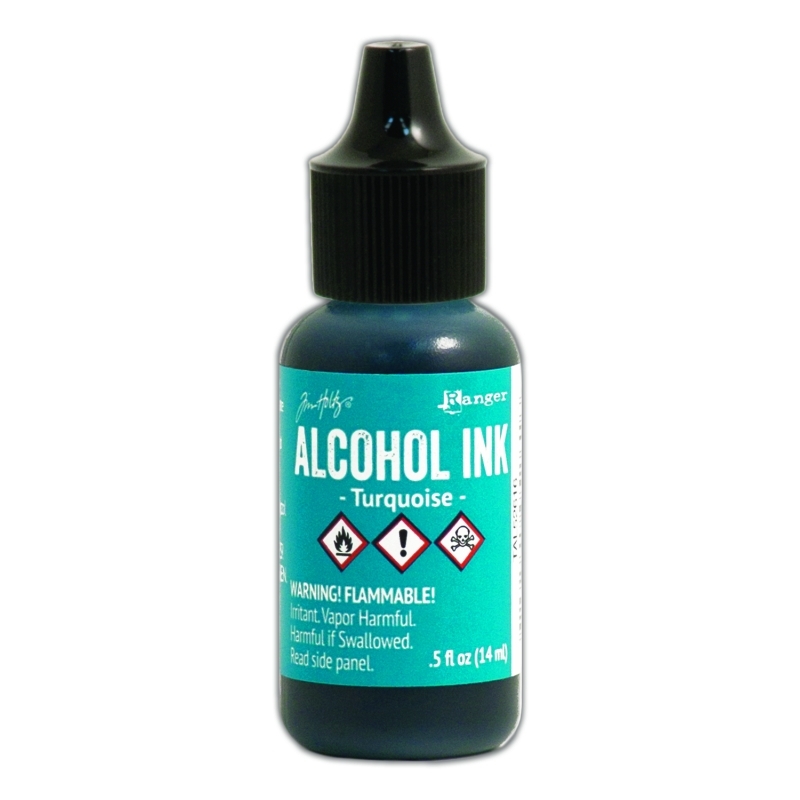 Alcohol inks are designed for non porous surfaces and is suitable for use on glossy paper, metal, shrink plastic, glass, and other slick surfaces. As with the whole Adirondack alcohol ink range they're acid free, fast drying and fade resistant. Take a look below at Tim Holtz showing the 6 new colours that have recently been released.